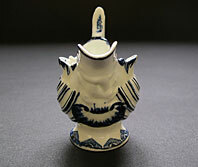 "This attractive and collectable piece of antique Derby blue and white porcelain is a hand painted butter boat with a helmet-shaped body and high scroll handle. 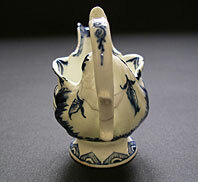 The body is crisply moulded with a pair of dolphins in relief below the spout. 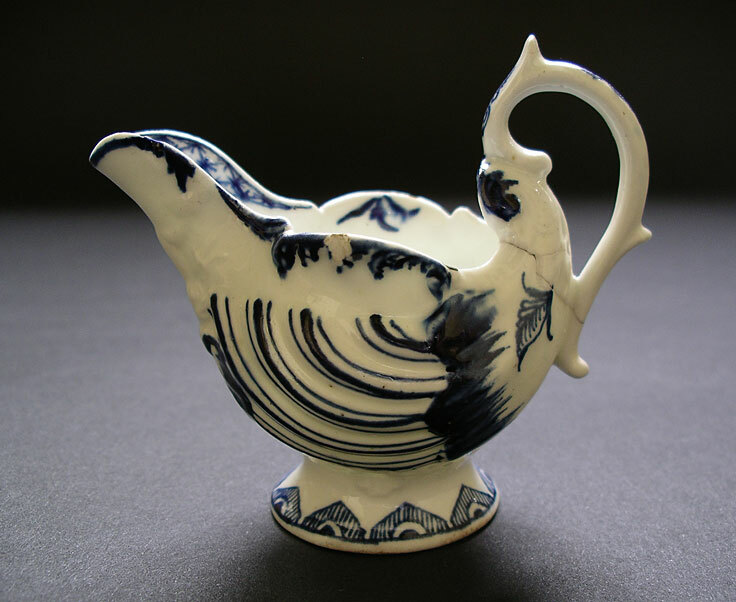 Eighteenth century blue and white Derby porcelain was only made in tiny quantities compared to other factories and very few pieces have survived. A super attractive reference piece for the discerning collector in good general shape." Antiques Expert Hamilton Bear. 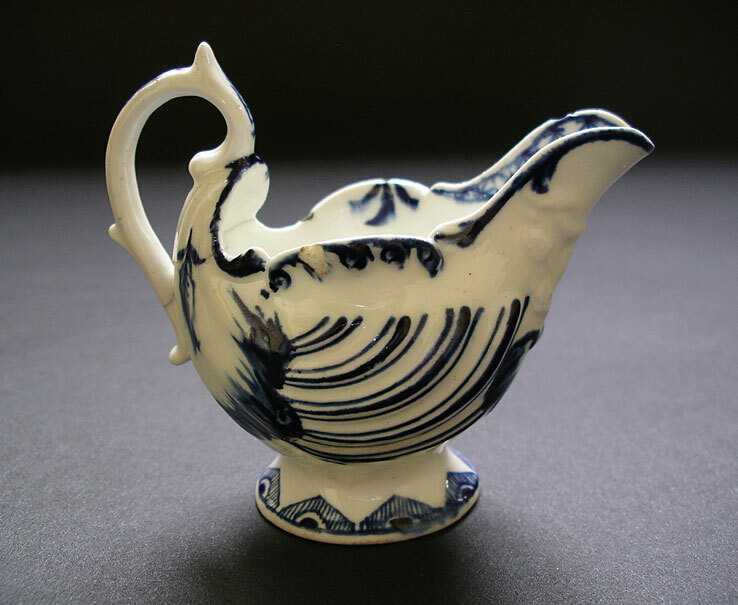 References: An identical Derby blue and white butter boat is illustrated in Ceramics of Derbyshire 1750-1975, Ed. H. G. Bradley page 121 catalogue number 196. 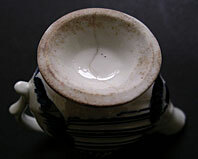 There do not appear to be any other examples of this rare piece illustrated in major museum collections. Dimensions: length 196 mm max. height 85 mm max. Condition: Visually looks good and a stable reference example. There are two flat chips to the rim. 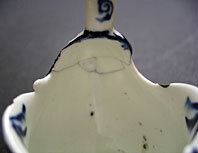 A section of the rear handle has been broken and restuck and an associated small section to rear filled. Tight hairline across base. All illustrated.